French team Cofidis has announced the signing of Darwin Atapuma. The Colombian rider inked a deal with the formation for the 2019 season. Atapuma just finished two seasons in UAE Team Emirates and before that, he was three seasons at BMC Racing Team and has a palmares that includes stage wins at the Tour de Pologne, the Tour de Suisse and the Giro del Trentino. He has also taken top-ten spots in races like the Giro d'Italia, the Tour of Utah and the Volta a Catalunya. 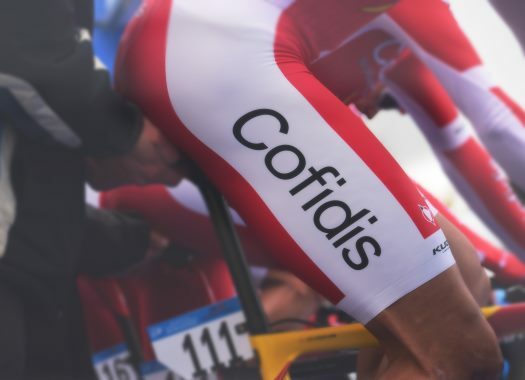 "I am proud and happy to be able to wear the colours of Cofidis Solutions Credits from the first of January," said Atapuma. "I have already resumed training to be ready to for the first appointments with the team. "It's a very beautiful experience that I can be in a French formation. I already know some of the riders and I don't have any doubts that thanks to the strength of the collective, we can continue to get victories and put our names to certain wins." The manager of the team Cedric Vasseur is pleased with this new signing. "I am extremely proud and happy to welcome a rider of this value into our formation," he explained. "He is the link that we have missed in recent years. "With Darwin, I am convinced that we are now armed to shine and win on all terrains. This is the link we have missed in recent years. With the experience he has gained in other teams of the WorldTour, he will be able to show himself at every opportunity. And above all, we found in him the rider likely to stand on the mountains of more than 2000 metres as will be the case several times during the next grand tours."